Dom Kennedy is back with the video to “After School”. LA rapper Dom Kennedy has just announced that he is taking his ‘Get Home Safely’ Tour to the UK. 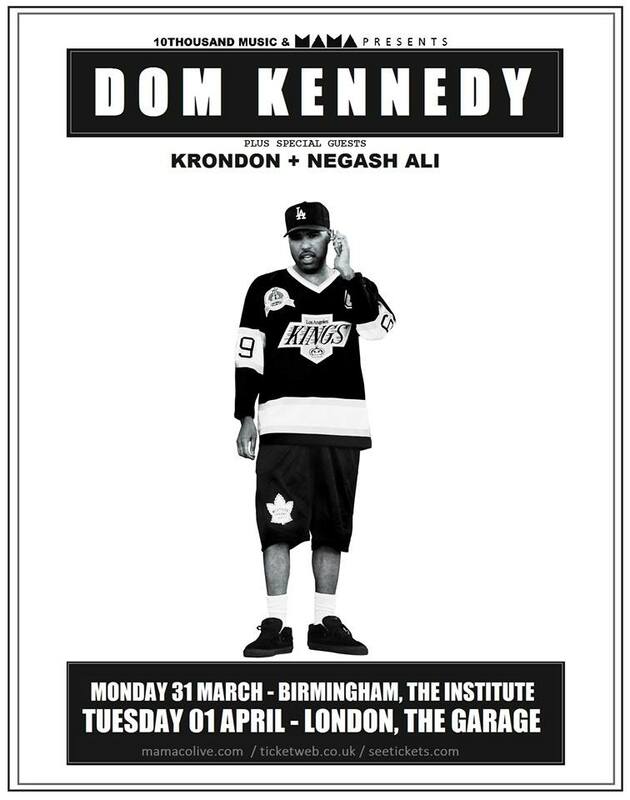 He will perform 2 dates, one in Birmingham (The Institute) on March 31st before hitting the capital London (The Garage) on April 1st. The show will feature LA based upcoming artist, Strong Arm Steady leader, KRONDON as well as rising London-based Eritrean/Danish artist NEGASH ALI. Dom Kennedy’s album “Get Home Safely” was critically acclaimed and the announcement of this tour will please many of his UK fans. Tickets can be purchased from here. Dom Kennedy releases the new video to his track ‘Still Callin’ featuring TeeFlii. Off his album Get Home Safely. Dom Kennedy recently performed at the Irving Plaza in New York and brought out special guest Kendrick Lamar. K. Dot performed his “Backseat Freestyle” to a surprised audience filmed by The Source. After the jump check out Dom Kennedy’s interview with HHS87 where he talks about his latest album Get Home Safely. Zach Warren directs the new video from Casey Veggies called “She In My Car” featuring Dom Kennedy. 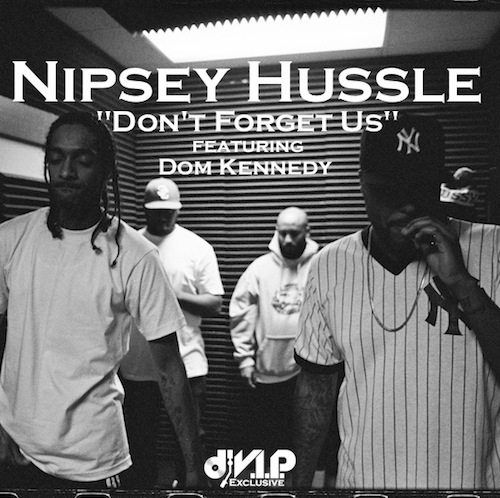 Nipsey Hussle joins forces with Dom Kennedy for “Don’t Forget Us”. Off Nipsey’s new mixtape ‘Crenshaw’ due out tomorrow.